Air Release & Degassing Valves – Plast-O-Matic Valves, Inc.
Series ARV designed to expel large volume of air at system start up, then close bubble tight. Unique self-guided poppet seals more reliably than ball designs; does not deform under pressure and assures minimal emission of system liquid prior to sealing. Sizes from 1/2″ to 4″ in a wide range of materials and connection types. Series DGV United States Patent #7,481,238 B2. Unique float design opens as air or gas collects in the valve, closes when liquid returns, allowing continuous expulsion of trace amounts of gas as it occurs. 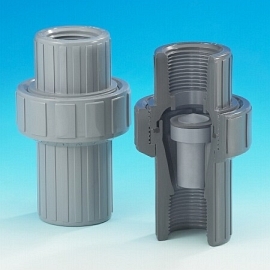 1/2″ tee connection for virtually any pipe size; offered in a variety of corrosion resistant and ultrapure plastic materials. 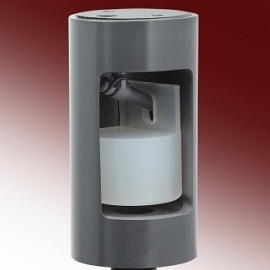 Series CARD Combination Air Release and Degassing Valve in a single unit. Also provides Vacuum Relief Valve function, which prevents pipeline vacuum in case of leaks or siphon. Connections from 1″ – 4″ in a variety of materials; sizing is based on air volume requirements. Series DGV United States Patent #7,481,238 B2. Unique float design opens as air or gas collects in the valve, closes when liquid returns, allowing continuous expulsion of trace amounts of gas as it occurs. 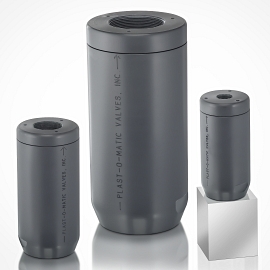 1/2″ tee connection for virtually any pipe size; offered in a variety of corrosion resistant and ultrapure plastic materials — now including clear Acrylic for easy visual verification of degassing. Series CARD — PATENT PENDING Combination Air Release and Degassing Valve in a single unit. Also provides Vacuum Relief Valve function, which prevents pipeline vacuum in case of leaks or siphon. Connections from 1″ – 4″ in a variety of materials; sizing is based on air volume requirements.